There are some pretty big things at stake for the vampires (pun totally intended) when a woman is found dead on the lawn of Eric’s house after a gathering with King Felipe de Castro to discuss the disappearance of his representative, Victor. 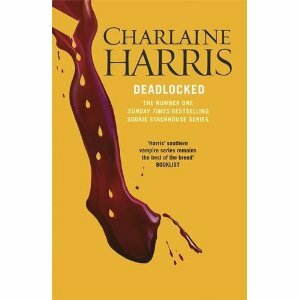 Sookie knows what happened – she was there in the previous book when he was killed. But now she doesn’t know what happened to this girl and she doesn’t know who she can and cannot trust. Plus, she is finding that her love for Eric is waning, and her boss Sam is dating a were that she doesn’t trust. It’s all a bit hard; and that’s without throwing in the fairies. I feel like this book is really gearing up to the end; raising the stakes, bringing the excitement and the getting all the fans fired up for the last book in the series. Perhaps, the series could have been wrapped up a bit sooner – it certainly lost its mojo for a while. But I’m totally back into it now.